So far away from Everest in Nepal, our journal has never felt so close to home. Our medium-sized Everest Explorer Leather Journal made the trek up to the tallest mountain in all of North America. Denali, also called Mount McKinley, stands majestic at 20,310 feet above sea level. Kathmandu Valley Co. Journals are always looking for a new place to explore. Our journals are crafted in Nepal with handmade lokta paper from cuttings of Lokta bushes. The fibrous inner bark is cooked into a mash and then hand-applied to boxed screens and set to dry in the Himalayan sun, creating one of the most sought-after handmade papers. The paper is carried down the mountain passes of Nepal by donkeys, eventually it reaches Kathmandu where the lokta paper is handcrafted into our journals. The paper is unique, textured, and full of rough edges…just like life. Enjoy yours! Namaste. 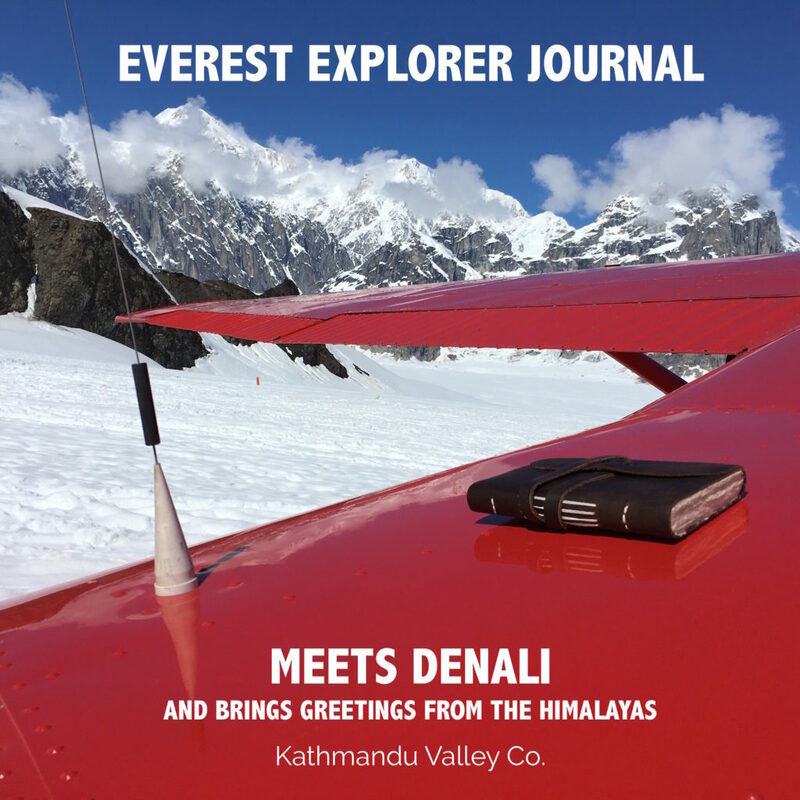 Check out our Everest Explorer Journal and take it on your next adventure!